With over 90 municipalities in St. Louis County alone, each having their own regulations and procedures governing residential chicken flocks, it can be overwhelming to find out if you can have them and to go through the process to acquire a permit (if needed). If you would rather put your time and energy into caring for your chickens-not dealing with red tape-we can help make this process easy for you. If you belong to a neighborhood association, check indentures. If they vary from city ordinance, the more restrictive is to be followed. Don’t see your municipality listed? We’ll find out your regulations for you. Please contact us for help. Allowed, no limits. As an unincorporated census-designated place in St. Louis County, Affton follows the county ordinances regarding chickens. Allowed on 1+ acre, with permit if within 150 feet of a building not on your property. Allowed, no limits. As an unincorporated census-designated place in Jefferson County, Barnhart follows the county ordinances regarding chickens. Allowed. No limits. St. Louis County ordinance applies. Up to 7 allowed with annual permit ($25). Up to six hens allowed with permit ($50). Not Allowed. See code here. Up to six allowed with permit. Up to six hens with permit ($10). More allowed on larger lots. See details here. Up to 6 hens allowed (depending on backyard size) with permit ($10). Allowed, no limits. As an unincorporated census-designated place in St. Louis County, Castle Point follows the county ordinances regarding chickens. Allowed, no limits. As an unincorporated census-designated place in Jefferson County, Cedar Hill follows the county ordinances regarding chickens. Allowed only if zoned agricultural. Allowed, no limits. As an unincorporated census-designated place in St. Louis County, Concord follows the county ordinances regarding chickens. Up to four hens allowed. Up to 8 hens allowed on lots .17+ acres. One additional hen allowed for each 2500 additional square feet, up to 12 hens. See regulations here. Up to three chickens allowed (as part of the 3 pet limit). Allowed on lots of 3+ acres zoned R1-A. Up to four hens allowed. St. Charles County ordinances apply. Up to six hens allowed with permit. Allowed on 4+ acres. Limit of one per 1/5 acre. Up to four hens allowed with permit ($10). Not allowed in city limits, but people have approached the board to change the ordinance. Six hens allowed on .23+ acres. Allowed. No limits for R-1 and R-2 zones. Limit of 6 fowl in R-3 and R-4 Districts. See here for details. 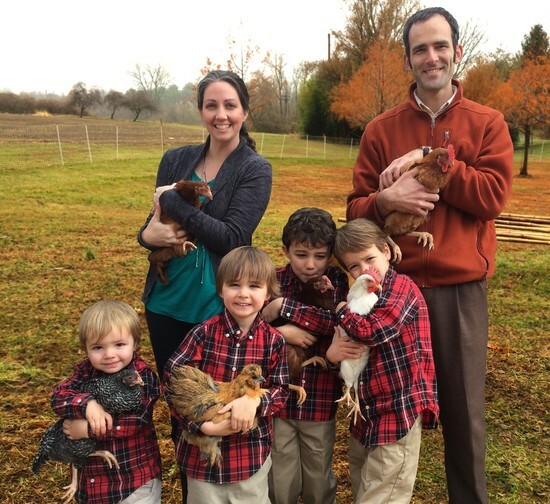 Up to six hens allowed on lots less than 10,000 square feet, with permit ($3/hen). One additional hen allowed per additional 10,000 square feet. Up to four hens allowed with permit on 1/2+ acre lots. Not allowed in city limits. Up to four hens allowed with permit. Up to five hens allowed with permit. Allowed, no limits. As an unincorporated census-designated place in St. Louis County, Glasgow Village follows the county ordinances regarding chickens. Up to 4 hens allowed. See ordinance here. Allowed with permit on 1+ acre lots, must be 200 ft from adjacent dwellings. Allowed, no limits. As an unincorporated census-designated place in Jefferson County, House Springs follows the county ordinances regarding chickens. Allowed, no limits. As an unincorporated census-designated place in Jefferson County, Imperial follows the Jefferson County ordinances regarding chickens. Up to 6 hens allowed with permit. Number of chickens is dependent on amount of green space available. See ordinance here. Not allowed in Lake St. Louis Community Association. Allowed, no limits. As an unincorporated census-designated place in St. Louis County, Lemay follows the county ordinances regarding chickens. Up to 4 hens allowed on residential properties. Allowed, no limits. As an unincorporated census-designated place in St. Louis County, Mehlville follows the county ordinances regarding chickens. Allowed, no limits. As an unincorporated census-designated place in St. Louis County, Oakville follows the county ordinances regarding chickens. Allowed, no limits. As an unincorporated census-designated place in St. Louis County, Old Jamestown follows the county ordinances regarding chickens. 8 hens allowed on 5500+ sq. ft. of unimproved land. Allowed only in areas zoned non-urban (NU). Up to five hens allowed with permit ($25). Up to eight hens allowed with permit ($15). Up to 6 hens allowed with permit (3 years, $30 inspection). Coop regulations apply. See ordinance here. Allowed, no limits. As an unincorporated census-designated place in St. Louis County, Sappington follows the county ordinances regarding chickens. Up to five hens allowed with permit ($30). Allowed, no limits. As an unincorporated census-designated place in St. Louis County, Spanish Lake follows the county ordinances regarding chickens. Not currently allowed, but a legal challenge to the ordinance is in process. Allowed. 8-12 hens, depending on lot size. See here for ordinance. Not allowed in city limits. See here for ordinance. Allowed, no limits. As an unincorporated census-designated place in St. Louis County, St. George follows the county ordinances regarding chickens. Allowed if kept clean and on owner's property. See ordinances here. Up to six hens allowed. See ordinance here. Not currently allowed, but they are revisiting the ordinance due to the volume of requests for backyard chickens. Up to 15 allowed with permit. Up to eight hens allowed on 5,500 square feet unimproved land with permit ($30). Allowed in AG district only. Allowed on non-urban (NU) and R-1 zoned lots that are 5+ acres. Accommodations possible for smaller lots. Allowed only in Agricultural Zone. See regulations here. Allowed as a farm operation only, with proper zoning. See regulations here and here. Up to 5 hens allowed with permit ($25). Allowed with permit ($50, limited to 75 permits total). Limit of 6 hens. Allowed on limited basis during a 2 year trial period starting in 2018. Permits are $50 the first year and $25/year after. 3 hens allowed, included in total pet limit. Up to 5 allowed with permit ($300).